Discussion in 'Off-topic Zone' started by The Ominous, Oct 26, 2018. DcFootball4, Aviano90, JohnnyTheFox and 5 others like this. Aviano90, JohnnyTheFox, The Ominous and 1 other person like this. Your killin man. Just killing me. Aviano90, DakPresgoat, JohnnyTheFox and 4 others like this. This feels like a NEXT NEXT Gen gaming experience. I seriously just walked around in the snow for like an hour last night in first person view staring at my feet and footprints. Ridiculous amount of detail they put into this. I can't imagine the madness in store. Aviano90, JohnnyTheFox, SlammedZero and 5 others like this. Gamefly best get their azz in gear! I’ve had this in my que for over a year. Aviano90, JohnnyTheFox and The Ominous like this. You got any idea on how big the map of game play is? Say as compared to a fallout or skyrim,,, Map?,,,I'd played red dead revolver on ps2 back awhile ago. Aviano90, BigStar and JohnnyTheFox like this. Aviano90, BigStar, JohnnyTheFox and 3 others like this. Ive never played this but everyone that has LOVES it. I hope they do a movie based on this game. I remember the commercials for the first game thinking...man,can't wait to see THAT. then I realised it was a game. Aviano90, The Ominous, aria and 1 other person like this. It is definitely on my radar! I was hoping Redbox was going to have it so I could get a quick taste this weekend but no dice. I love gorgeous games. Forza Horizon 4 has been like that. Just stunning to look at when you play. It is crazy how far we have come graphically in such a short time. Aviano90, BigStar, The Ominous and 2 others like this. Not exactly sure, from everything I have read it is bigger than Skyrim's map. Aviano90, BigStar, The Ominous and 1 other person like this. This is on my immediate wishlist, right after I upgrade my 1080 50 inch plasma for a 65 inch 4k. Aviano90 and The Ominous like this. So I Game Share with my buddy on Xbox. 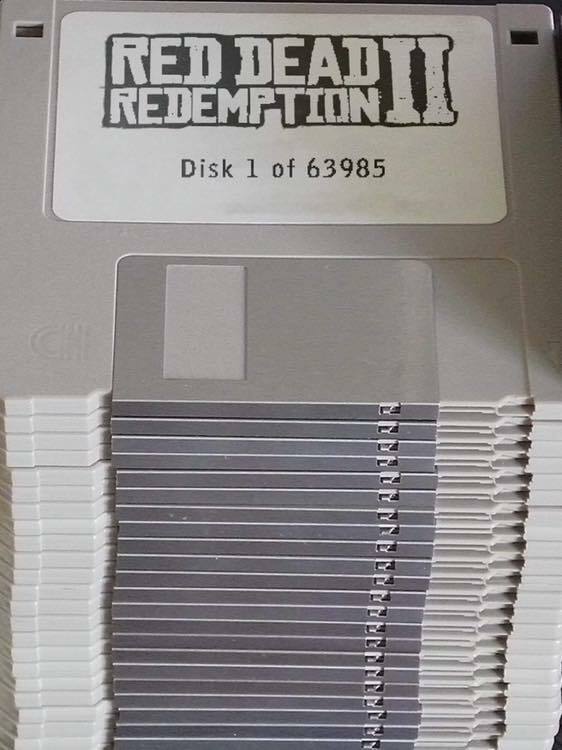 He hit me up today and was like "So, if I buy RDR2 you can play it too? Because I just bought it". I looked and it already started downloading on my Xbox!! Yusssss!!!!!! Tomorrow it is ON!!! Aviano90, BigStar and The Ominous like this. Well, that game took forever to download. iceberg, Duane, Aviano90 and 8 others like this. I just killed an hour watching a guy play this game on Youtube, the graphics are incredible, what kind of set up do you need to run this game with that level of detail? Aviano90, BigStar, JohnnyTheFox and 2 others like this. Khartun, Aviano90, stasheroo and 2 others like this. Yeah even the details like how they leave tracks in the snow are really good. I'm running mine on an Xbox One X with 4K HDR. It looks beautiful. BigStar, JohnnyTheFox, lothos05 and 1 other person like this. Well I am more of a PC guy than console, but here goes. First of all a 4K television, then any of the following. A Xbox One S which will upscale to 4k, a Xbox One X which can display 4k content as its native resolution. Out of the 2 I am almost positive the Xbox One X will look better. Or you need a PS4 Pro, don't believe PS4 regular upscales to 4K. Aviano90, SlammedZero, BigStar and 1 other person like this. I was actually a little down on it at first, because I found the controls hard to get use to. But I eventually did, and once I just started roaming the land I’ve fallen in love. This is up there with the Witcher 3.